Here are three more fun accessories to wear for Halloween. All make a great little Halloween costume without having to go all out from head to toe. 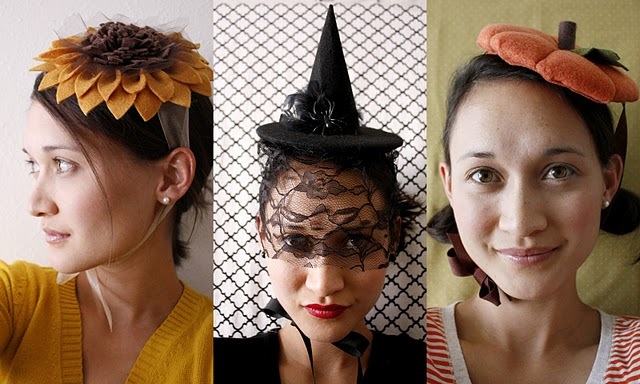 Delia has a tutorial for three different, Halloween Hattettes. I love how she paired a coordinating shirt with each of the cute Halloween hats and has a clever Halloween costume. Lou La wants to be a witch again this year, so maybe we can go with a cute little hat this time that will be a lot easier to hold onto while trick-or-treating. You can check out the three Halloween hat tutorials over at Delia Crates.